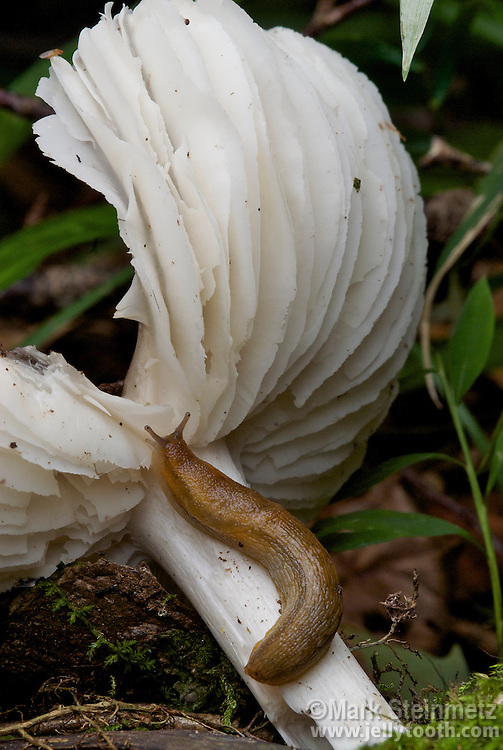 Dusky Slug (Arion subfuscus aka Arion fuscus) feeding on a gilled mushroom cap. Animals that consume fungi are known as funigivores. West Virginia, USA.